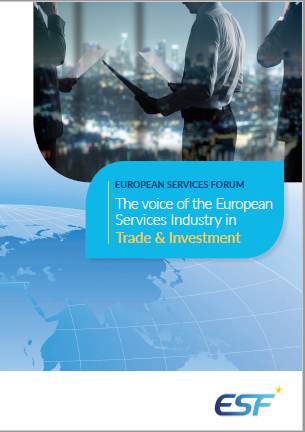 EU-Tunisia | "The Voice of the European Services Sectors in International Trade"
Tunisia is the 77nd largest export economy in the world and the 77th most complex economy according to the Economic Complexity Index (ECI). 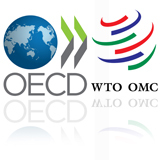 the country has been a member of the World Trade Organisation (WTO) since 29th March 1995 and a member of GATT since 19 August 1990. The Global Competitiveness Report for 2015-2016 ranked Tunisia 92nd place . Based on the Human Development Index (HDI) latest report for 2014, Tunisia ranked 96th globally and 5th in Africa. The year 2015 was marked by terrorist attacks in Tunisia which are likely to impact economic growth, especially in tourism, one of the main sectors. policies identify every possible opportunity for supporting the country’s transition and strengthening ties between Tunisians and Europeans. Lastly, Tunisian civil society, which is played a key role in the transition (hence the award of the Nobel Peace Prize to the National Dialogue Quarter in 2015), is closely involved in the process, primarily through the regular tripartite dialogues on the main areas of the EU-Tunisia cooperation which takes place before each of our sub-committee meetings.” Please find attached a European Union report on the “Relations of the EU and Tunisia” where you will fond more information on the relationship between the EU and Tunisia since 2011. The EU and Tunisia launched a Deep and Comprehensive Free Trade Agreement (DCFTA) on 13 October 2015. The first fully-fledged round of talks, to be led on the EU side by Sofia Albarran Muñoz, Head of Unit for Mediterranean Region at DG Trade, took place on 19-13 October in Tunis. A DCFTA between the EU and Tunisia is expected to expand on the existing EU-Tunisia free trade agreement by adding several new elements, including market access in services, government procurement, competition, intellectual property rights, as well as investment protection. The EU is Tunisia’s largest trading partner, accounting for 65.5% of its trade in 2015. 78.1% of Tunisia’s exports went to the EU and 56.9% of Tunisia’s imports came from the EU. Two way trade amounted to 4.7 billion in 2015 with EU imports of services representing 3.6 billion and exports 1.1 billion. The Commission received a Council mandate to negotiate a DCFTA with Tunisia back in December 2011. The so-called scoping exercise that prepares the ground for the opening of talks was launched in 2012. The EU is Tunisia’s largest trading partner by a large margin, accounting for 57% of total Tunisian trade. The Commission is planning to launch talks on DCFTAs also with other countries in the south Mediterranean region, including Jordan and Egypt. Morocco started negotiations with the EU in March 2013. Some additional information on the relationship between the EU and Tunisia can be found here on the Commission website.